The Meryon Memorial drinking fountain can be seen on the left of the road that leads to the Bistro Cafe and promenade. It was presented to Gosport Council by the mother of Lieutenant Commander Meryon who was lost at sea, Wednesday 29 January 1913. He was Commander of the H.M. Submarine C21 and was on the deck of the submarine when a wave washed him overboard. Three submarines had been engaged in exercises off St Andrews Bay, and while C21 was returning up the Tay in heavy weather a small squall struck her. Lieutenant Meryon was knocked off the conning tower into the water, and as he was dressed in oilskins and sea boots he disappeared almost at once. Lieutenant Meryon, who was about 30 years of age, passed out of the Britannia as a midshipman in September 1902. He became a sub-lieutenant in November 1905, and took firsts in his examination for lieutenant, to which rank he was promoted in 1906. He was appointed to the Vulcan for the Command of C21 in August 1910 and had been in the submarine service for at least four years. 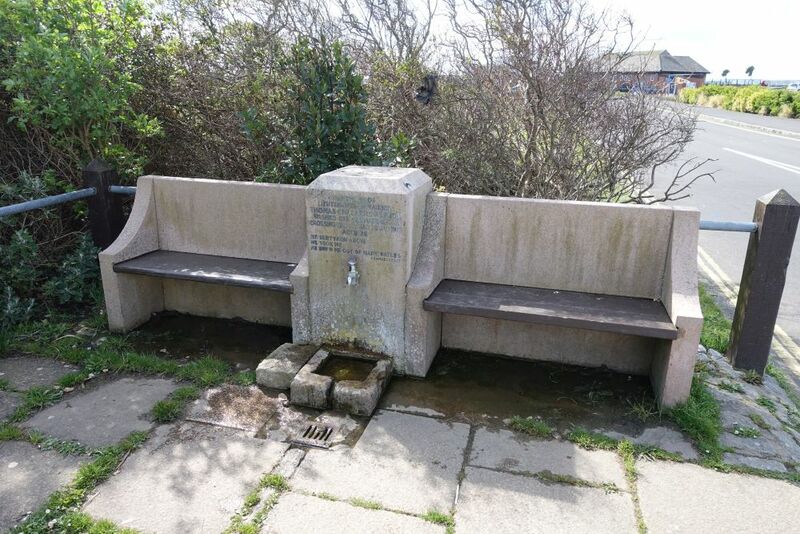 The memorial was unveiled on July 5th 1916 by Mrs Meryon who lived in Alverstoke. 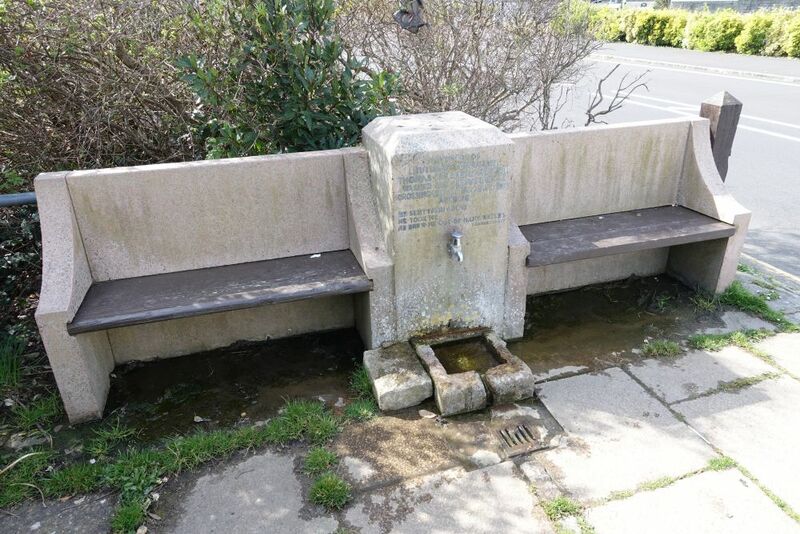 The centre pillar of the memorial originally had a sundial on top but this was vandalised so in November 1922 Mrs Meryon asked the Open Spaces and Watch Committee of Gosport Borough Council to return it to her. This they did but the tell-tale marks of where it once was can still be seen above the inscription. 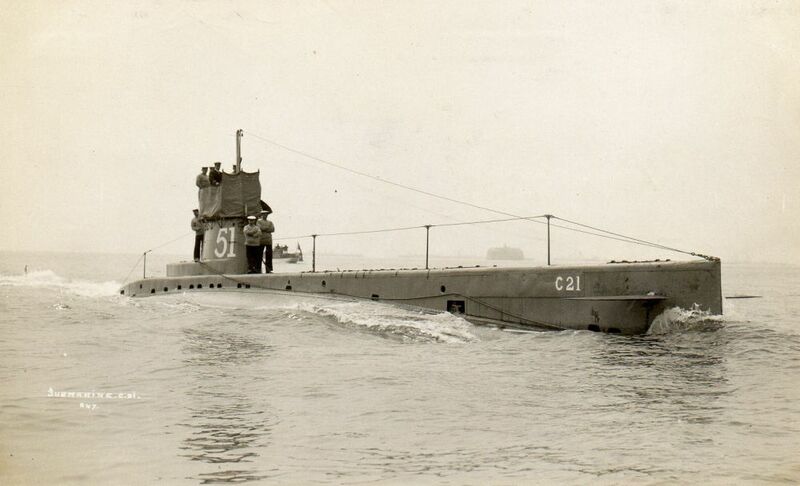 Submarine C21 was one of 38 C Class submarines built for the Royal Navy in the early part of the twentieth century. The submarine had a length of 142 feet 3 inches overall, a beam of 13 feet 7 inches and a mean draft of 11 feet 6 inches. It displaced 290 long tons on the surface and 320 long tons submerged. The C-class submarines had a crew of two officers and fourteen ratings. Each was armed with two 18-inch torpedo tubes in the bow and could carry a pair of reload torpedoes. C21 survived the First World War and was sold for scrap in 1921. Why not join us and help us to safeguard the environment and amenities of Stokes Bay and its immediate surroundings for present and future generations.